Remember my post on Thanksgiving art you can download and print for free? 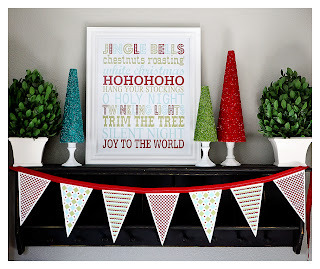 Check out these cute Christmas ones that you can use to change out your collection! 1. Craftily Ever After does it again. 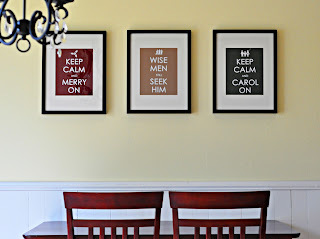 I love her interpretations of the original Keep Calm and Carry On posters. You can find the holiday versions shown below here, here and here. 2. Becky Higgins is providing this lovely modern piece on her site! When you click the link, look to the right to find the download. While you are there, you should check out her awesome daily videos on her blog! Day 2 includes some family photo tips. 3. Finally, subway art is all the rage these days. Find this great holiday themed piece of subway art from the girls over at eighteen25!